Custom Glass Fabrication (CGF) is a full service CUSTOM FLAT GLASS AND MIRROR FABRICATION and design studio dedicated to the creation and production of unique and exquisite glass products and accessories. Located in central Oklahoma, we lead our industry by maintaining the highest standards of quality, reliability, and creativity. From the simple to the complex, we combine your vision with our expertise to bring forth the perfect glass piece for your needs. Our products are as varied as our customer’s needs. 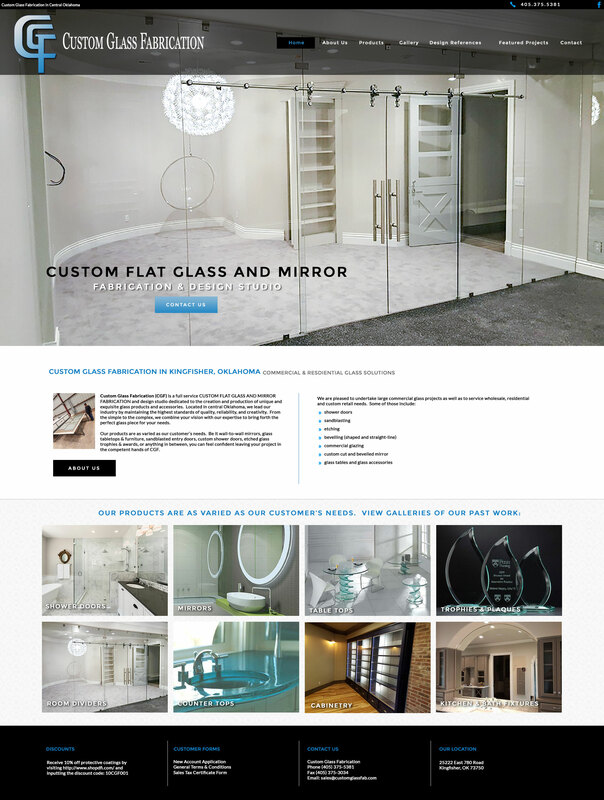 Be it wall-to-wall mirrors, glass tabletops & furniture, sandblasted entry doors, custom shower doors, etched glass trophies & awards, or anything in between, you can feel confident leaving your project in the competent hands of CGF.